The Manchester Golf Show – the North’s biggest and best golfing extravaganza – returns to Event City from April 24-26. Now in its third year, the event will show golfers what, how and where to play through a series of product stalls and demonstrations, custom-fit opportunities from the leading manufacturers, expert coaching clinics and even a dedicated golf tourism show. Some of the most prestigious brands from the world of golf will custom-fitting visitors for everything from drivers to wedges at the dedicated custom-built indoor range. If you need some new gear, or guidance on what’s best suited to your game, head to the bespoke custom-fitting bays and start shaving shots off your handicap. Two of Golf Monthly’s Top 25 Coaches will be on hand at the show to give free lessons to all those who have pre-booked a 30-minute slot. To do that, email golfmonthly@timeinc.co.uk with ‘Manchester Golf Show – GM Top 25 coaches’ in the subject line and your requested time slot (between 10am and 5pm). You will be contacted if you’re successful. You could also find yourself on Golf Monthly’s YouTube channel after the event! The Trafford Golf Centre’s team of PGA-qualified professionals, led by Director of Golf Pete Style, will be conducting free lessons at the show. All current non-golfers who visit the show will be guaranteed a free lesson from staff of the Manchester region’s largest golf driving range facility, so it’s the perfect opportunity to introduce a newcomer to the game. On all three days of the show, keep your eyes peeled for a selection of famous faces. We’ve teamed up with the Manchester Golf Show to offer 2-4-1 tickets to all readers. All you have to do to take advantage of this incredible offer is visit golfshowmanchester.co.uk and input code GMO241, or call 0844 8586749, quoting the same reference. You and a friend or family member can enjoy a combined entry fee of just £15, and children under 16 go free when accompanied by a paying adult. On all three days at the Manchester Golf Show, you can flex your muscles or show your finesse in the daily long drive and nearest the pin competitions. Bragging rights are up for grabs, as are some exceptions prizes for those who really excel over the course of the three days…. Many clubs from England’s northwest will be showcasing all they have to offer, and encouraging local golfers to play at their courses and experience their facilities. Visitors to the show can claim exclusive offers and discounted rounds of golf from exhibitors, potentially saving them more money on a round than the total price of entry into the show. The Manchester Golf Show will also feature the Golf Tourism Show, where clubs from all over the UK, as well as fabulous overseas golfing destinations, will be showcasing what their respective courses and resorts have to offer. Visitors can speak directly with staff at a number of exhibition stands, or watch interactive presentations at the dedicated Golf Tourism stage. 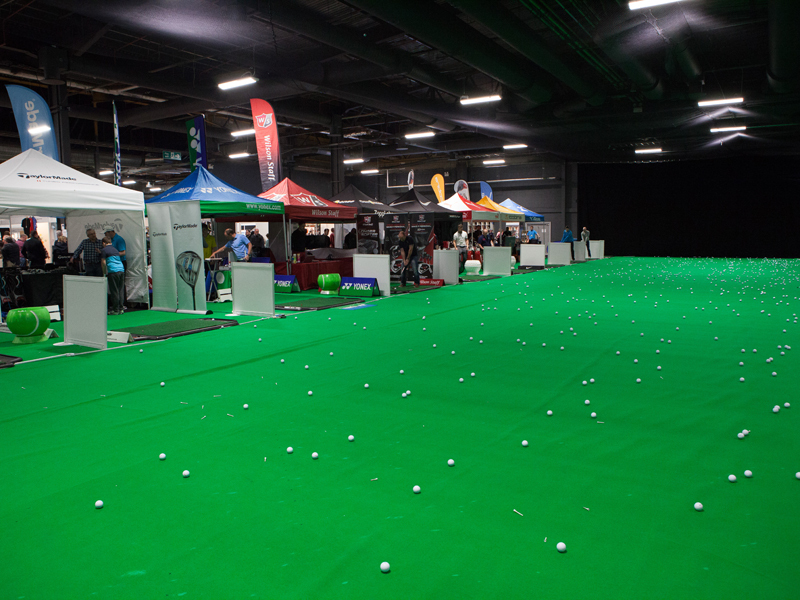 The Manchester Golf Show is the only dedicated golf show in the North West, and the popularity of the previous two events helped demonstrate the sheer number of golf fans in that part of the country. The Golf Show Group is extremely experienced in running top-quality events, having staged 18 golf shows across England over the last 10 years.